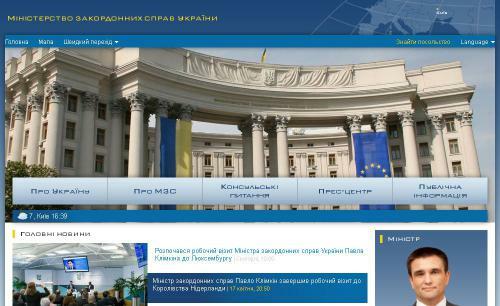 Official website of the Ministry of Foreign Affairs of Ukraine. Information about Ukraine, the history and structure of the Foreign Ministry, diplomatic missions abroad, regulations, interaction with public authorities and non-governmental organizations, information on new symbolism Ukrainian Foreign Ministry. Consular issues, the information of the press center, public information.